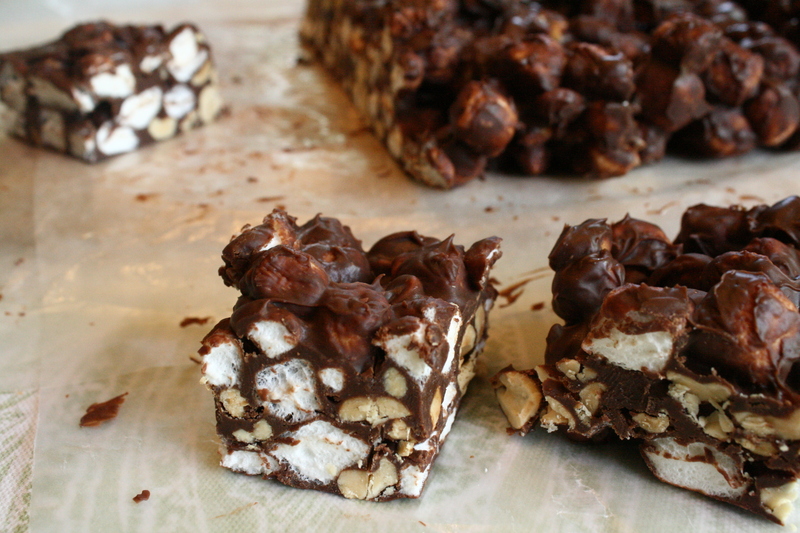 In light of the weather in Minnesota this week, today’s recipe is no-bake one. 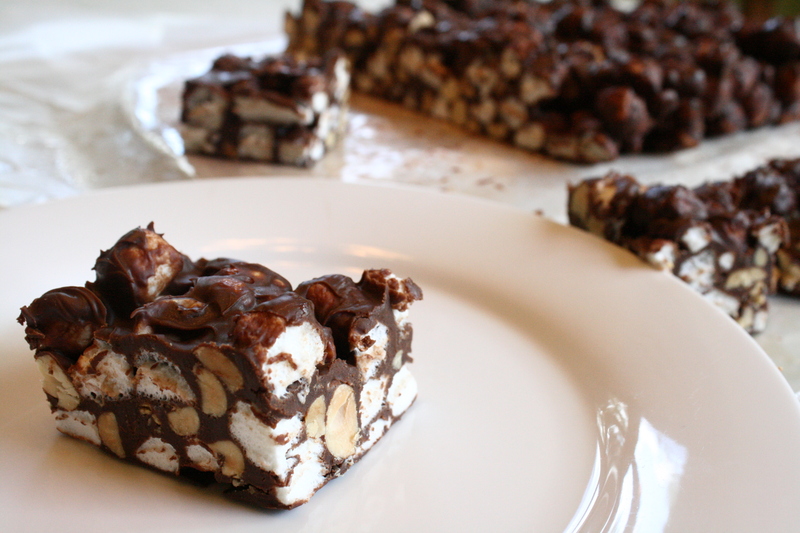 Rocky Road Squares are an easy treat – and you don’t need to heat up the oven! 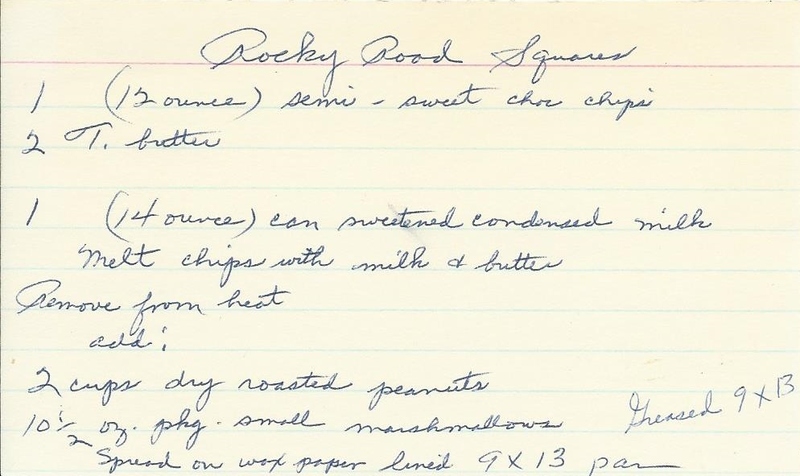 This recipe makes a big batch – a 9 x 13″ cake pan. They still didn’t last long in our house! Melt chips with milk and butter. 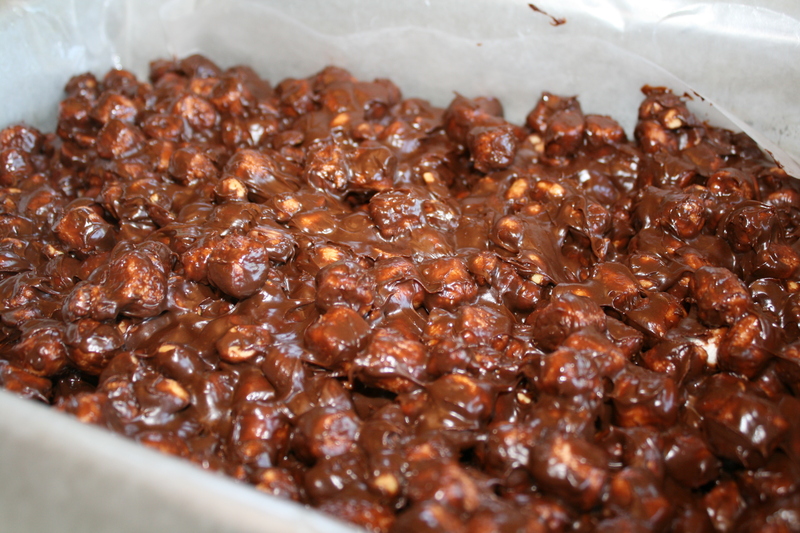 Spread on waxed paper lined 9 x 13″ cake pan. I put the pan into the refrigerator to firm up. I then used the waxed paper to lift the whole thing out of the pan before cutting.